If you have ever had a spa-quality pedicure, you know firsthand just how relaxing and exquisite they can be. These specialized spa treatments make the perfect gift for a loved one, or a special treat for yourself that is affordable enough to indulge in on a regular basis. 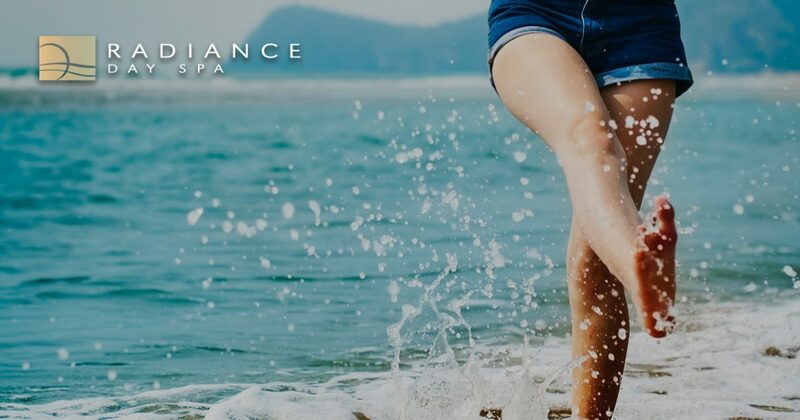 Whether you are male or female, there are many benefits to be had from getting a great pedicure, and in today’s blog, we will take a look at a few reasons you should schedule an appointment for one today! At Radiance Day Spa in Sioux Falls, we provide amazing nail care retreats that include a wide variety of manicures and pedicures. To learn more about these and our other affordable spa treatments, contact us at 605-385-0065 today! If it has been a while since you have had a pedicure, or if you have been delaying scheduling yours, check out the five benefits below! Many people enjoy frequent pedicures because of how the treatment makes their feet and toes look. When rough, dry skin is removed and your toenails are painted with the shellac of your choice, your feet will look fresh and radiant. Additionally, with professional technique and products, they can look amazing for several weeks! Most pedicures will include some type of foot and leg massage during the course of the treatment. Not only do leg and foot rubs feel great, but they are also an effective way of promoting blood circulation as well as stimulating your lymphatic system in order to flush out toxins from your body. In addition to promoting good blood flow and lymphatic stimulation, the calf and foot massage that you receive with your pedicure will help release tension in your muscles and joints. When you receive this treatment in a quiet, relaxing, spa-like environment, your stress and anxiety levels are likely to drop. Dry, cracked heels can be a pain in more ways than one. Aside from being incredibly sensitive to pressure, your gait may be thrown off if you are compensating to avoid walking on your feet properly, and this can cause back and hip pain. Regular pedicures will leave you with healthy skin that allows you to walk properly. Your feet are put through a lot on a daily basis, and there are many conditions that can negatively affect them. Things like nail and fungal infections can become a serious problem if left unchecked. Getting pedicures frequently by the same person can help aid in the early detection of common foot ailments. If you are ready to experience how amazing a professional pedicure can be, contact Radiance Day Spa! Choose our Radiant Spa Pedicure for the ultimate luxurious experience, or, if you are pressed for time, our Express Pedicure is also a great option. Call 605-385-0065 today to schedule your appointment! We look forward to speaking to you!